Have you seen Hope & Henry clothing for yourself? 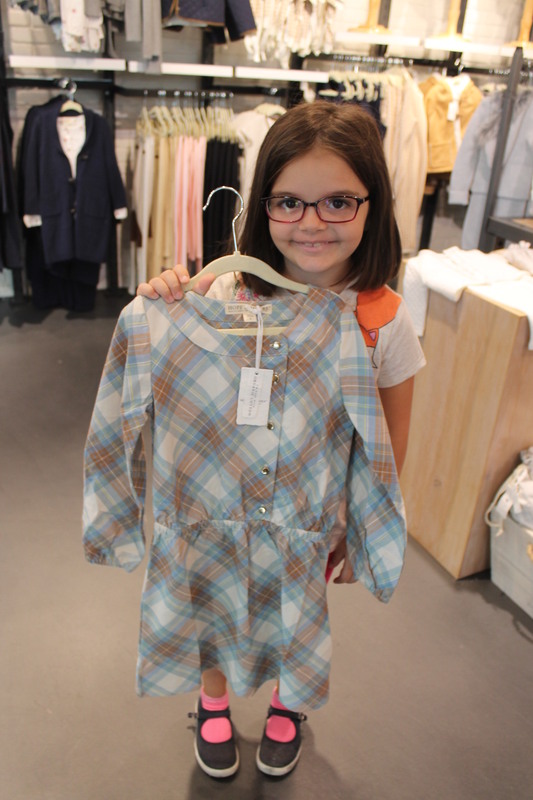 This beautiful children’s clothing line is not only affordable but, it uses OCS-certified organic cotton and recycled fibers for their clothing. 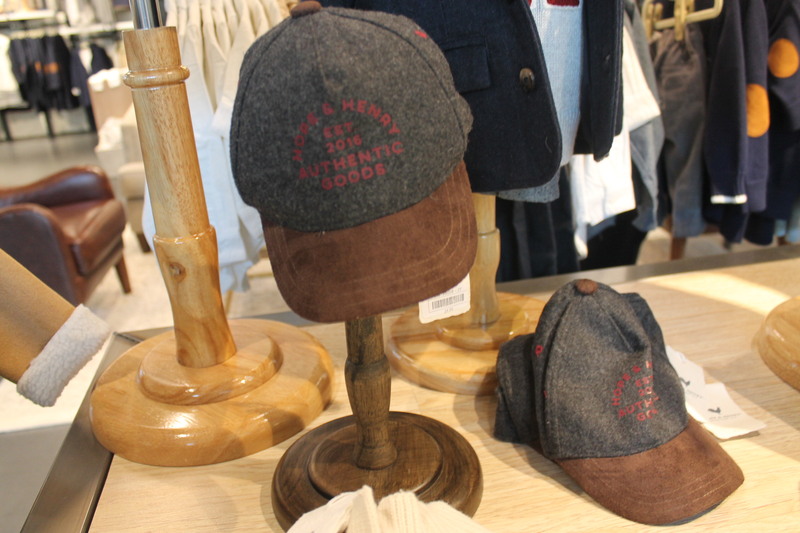 Hope & Henry is known for being an environmentally and socially conscious clothing line that believes that beautiful, high-quality clothing for boys, girls and babies can be affordable without sacrificing the well-being of people and the planet. We love them for this and you will, too. Originating on Amazon, Hope & Henry was previously only available online. 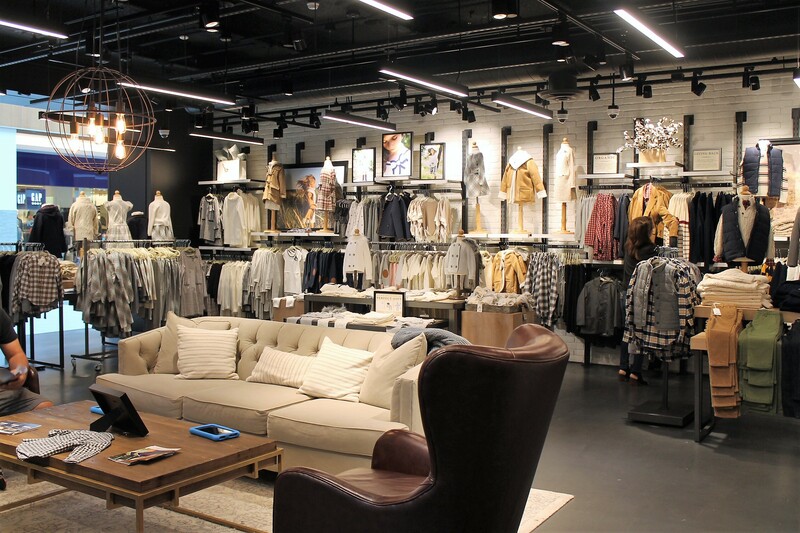 They are in their first physical retail space and we highly recommend visiting their store for amazing customer service and seeing the high quality clothing first hand and at extremely reasonable prices. 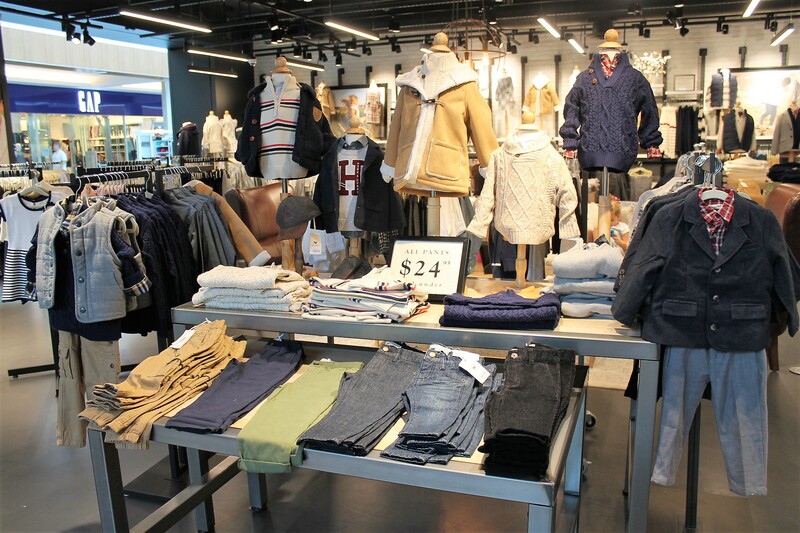 The brand has taken over The Edit @ Roosevelt Field – Simon’s turn-key retail platform for new designers, new products and new ideas and will remain open through October. 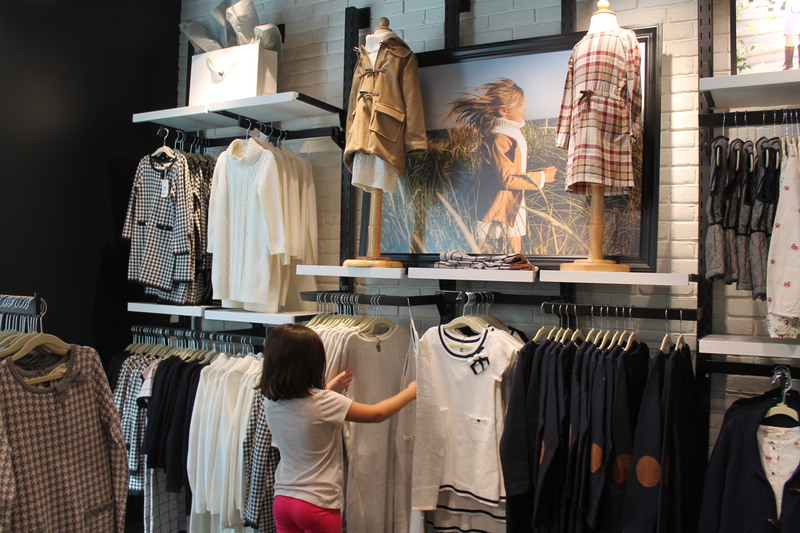 Your kids will love how the clothes feel and you will love how amazing their collection is for boys and girls. 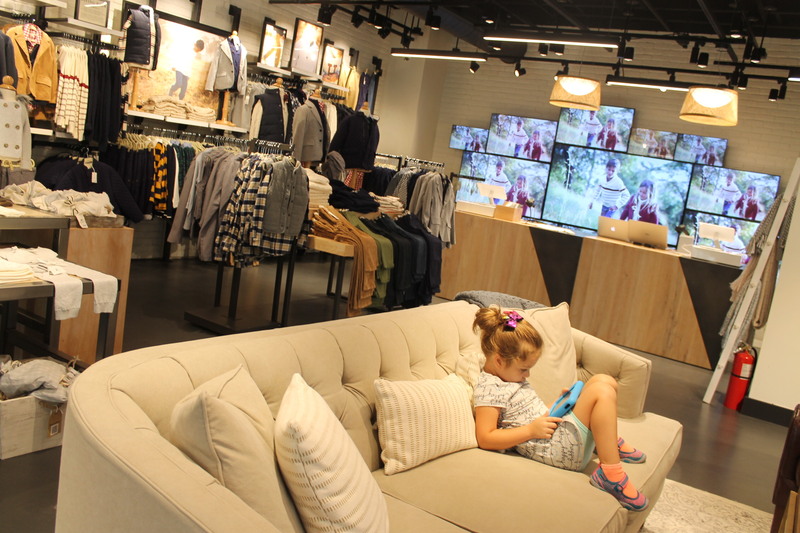 Don’t worry about the kids when you are shopping in this family-friendly atmosphere. 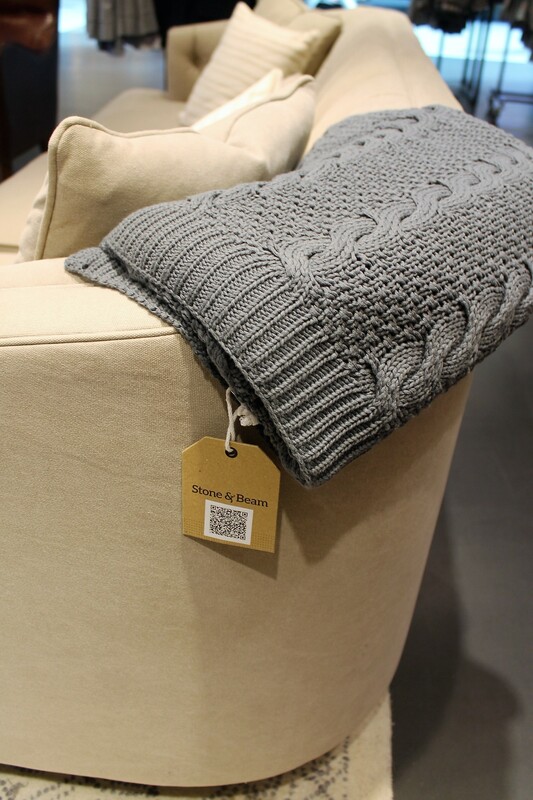 They have comfy couches and seating with select furniture and home décor pieces by Stone & Beam, an Amazon brand in the middle of the store. Customers will also be able to experience Amazon’s Fire Kids Edition tablets with Amazon FreeTime Unlimited, perfect for kids ages 3-12. 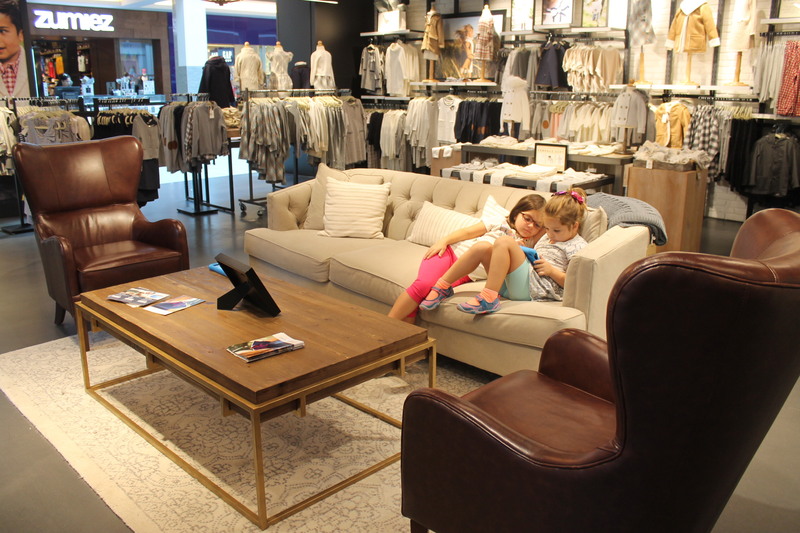 My girls were content and relaxed in this staged living room area while Mommy got to see all the clothing instead of having the kids playing hide and seek in the clothing racks and telling me how bored they were as I shopped. 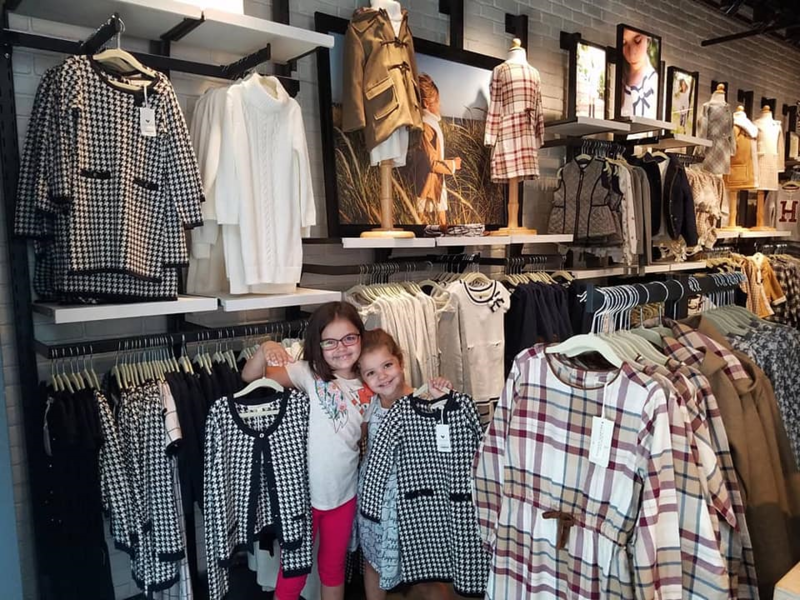 Truly, one of the nicest shopping experiences with the kids (yes, I said it… I shopped with the kids and it was enjoyable) with a courteous staff member nearby ready to help and assist whenever needed. 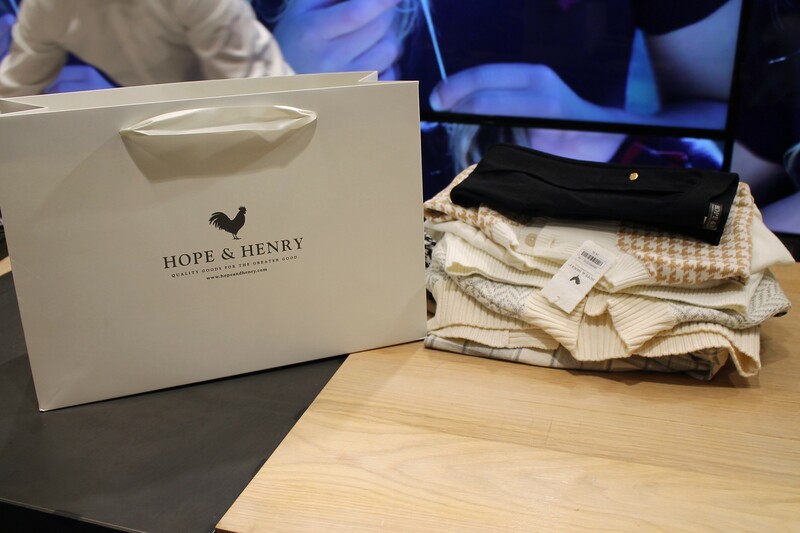 For boys and girls ages three months through 12 years, Hope & Henry offers casual options such as t-shirts, shorts and leggings as well as more formal options like suits and dresses. Items range in price from $9.95 to $39.95 for boys and $14.95 to $39.95 for girls. Baby items, including leggings, rompers, dresses and two-piece sets range in price from $19.95 to $39.95. 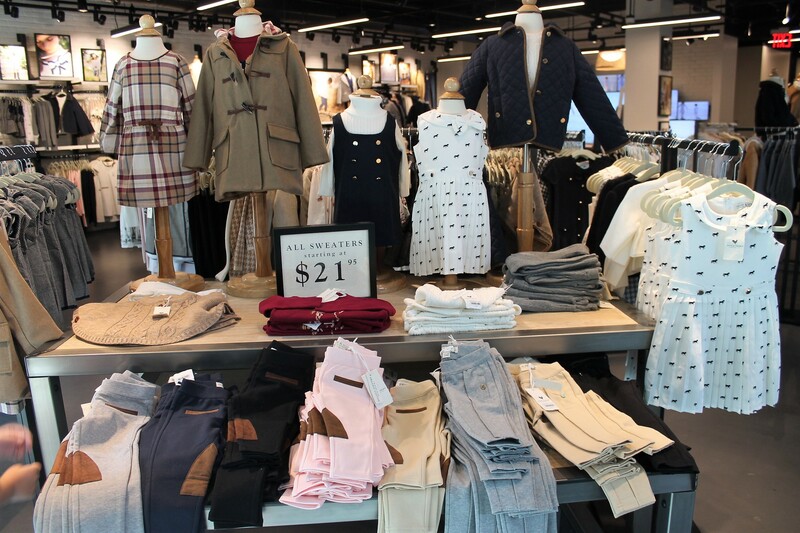 The clothing is priced affordably and if you see something you like be sure to grab it because their clothing sells out and don’t wait for a sale because there are no sales or coupons. You will love the clothing as much as we do. 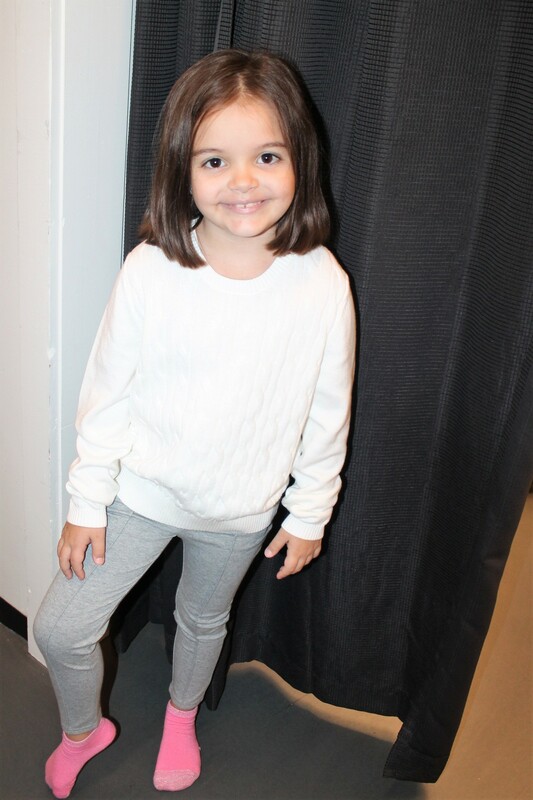 My daughter felt so confident and cozy in the different sweaters and pants in the fall collection. She normally does not like wearing dresses so having these dressy and comfortable pants and beautiful top options were wonderful for us. The sweaters which she normally does not enjoy wearing (not many kids do) because sweaters can be itchy and tight, she absolutely loved. She said, “Mommy these sweaters are the most comfy sweaters I have ever worn. 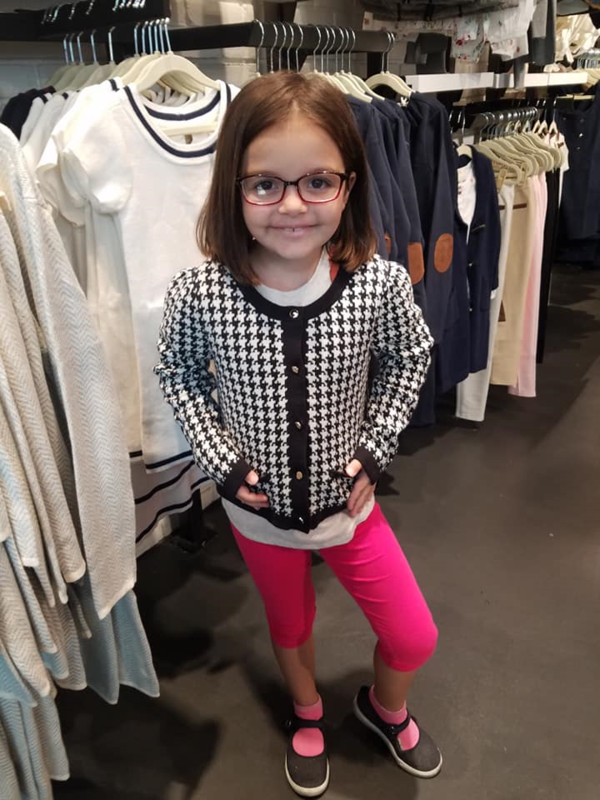 She loved this black and white pattern Houndstooth Cardigan in Organic Cotton with gold buttons. You can see the confidence in her beaming as she poses wearing it in the store over the clothes she came in wearing. 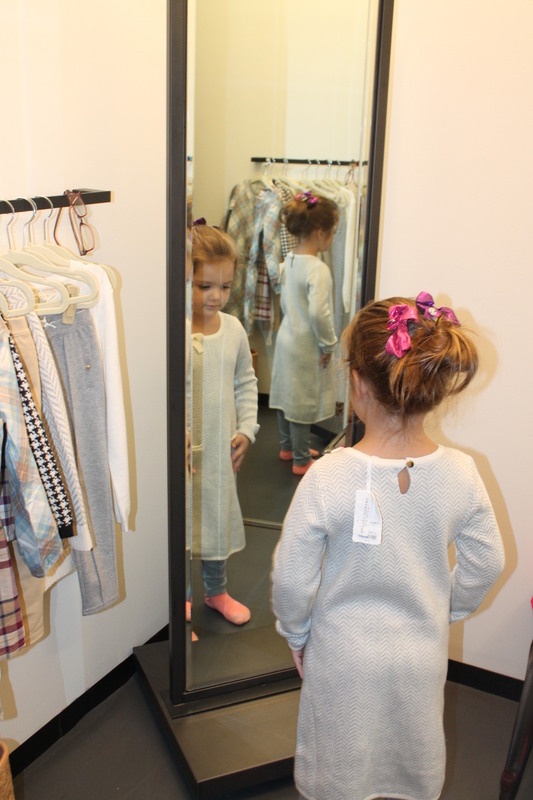 She loved trying the clothes on in the store, as well. My youngest who has some sensory issues to certain materials and clothing loved the fabric it was soft and not clingy to her body. She also commented how comfy she was and loved all the dresses in the store. The patterns and bow accents were stunning on the dresses. 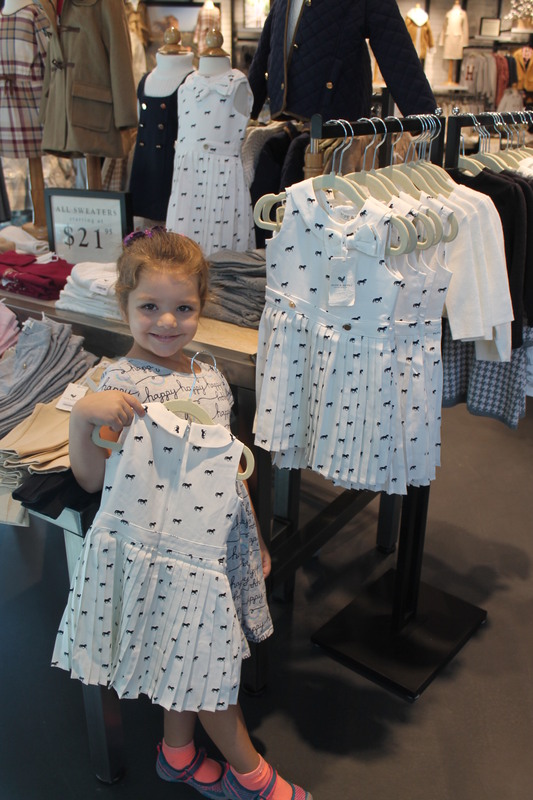 She was so happy to wear the clothing and also trying on the fun styles on in the store. 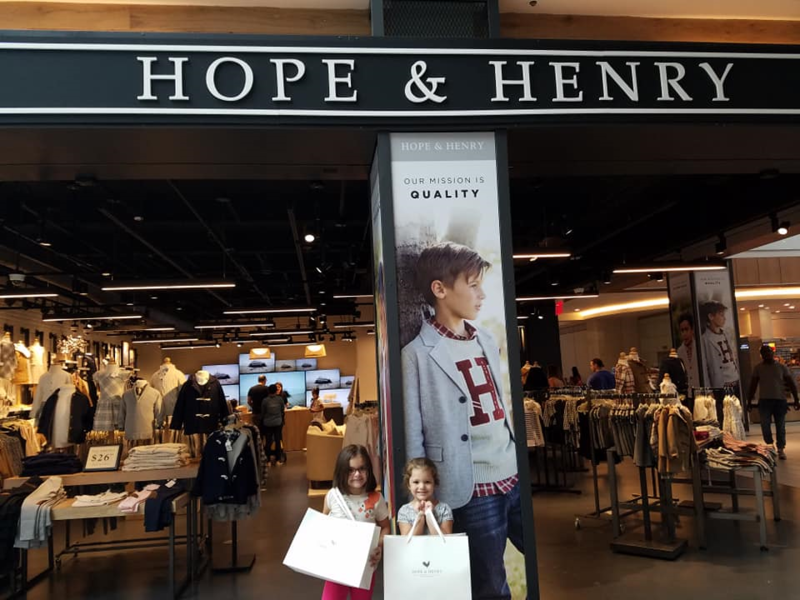 “We are proud to bring Hope & Henry to life with our first physical store at Roosevelt Field,” said Matthew McCauley, founder of Hope & Henry. “Simon believes in supporting new, innovative concepts and their commitment to sustainability in shopping aligns perfectly with our company values.” McCauley, who previously served as the CEO and Chairman of Gymboree from 2006 – 2012, came out of retirement to launch a new company with a unique mission alongside his wife, Marina. Matt & Marina are so passionate about the mission of Hope & Henry. The clothing is stunning and when you see it first-hand you will see it for yourself. When you speak to Matt or Marina you will be sold on their honest nature and compassion and focus on making high quality, affordable clothing for children that maximizes the use of organic cotton and recycled fibers while sharing profits with the women that sew the clothes. They are amazing people with an amazing mission that goes well beyond selling beautiful clothing. When you see their beautiful logo and ask why a rooster? And when you see their brand name and assume it is named after the children in their lives (like I did) and find out it is not and why their brand is named what it is you will love it even more. Hope is for what both Matt & Marina and those who work alongside them have for a change in how the fashion industry handles the environmental impact that the industry has on our planet. Henry is for the one eyed rooster who resides on the organic cotton farm where they get the material needed for their clothing and everyone loves Henry at the farm. When they described Henry to me and their mission I thought to myself how beautiful the two people who stood before me are (inside and out) and I could not wait to tell everyone about them and promote their mission. They can make a positive impact on how things are done in this huge industry, I believe in them. We loved spending time in the store getting to know the brand and the founders of this amazing clothing company that we will continue shopping from because it is very well made clothing, with a beautiful mission and purpose that we are extremely proud to support and we encourage other parents and caregivers to do the same. Oh, and by the way I really hope they come out with an adult line of clothing because I would be first on line to purchase it. I am in love with the styles and the comfort. Couldn’t you see yourself in some of these styles? THANKS FOR PROVIDING SUCH A BEAUTIFUL COLLECTION FOR KIDS.